Bettakultcha is infamous for its evening spectacular events. But did you know it also does daytime networking events too? Here’s everything you need to know in a handy FAQ format below. Interested in speaking at a Bettakultcha daytime event? Get in touch at Bettakultcha@gmail.com for more details. 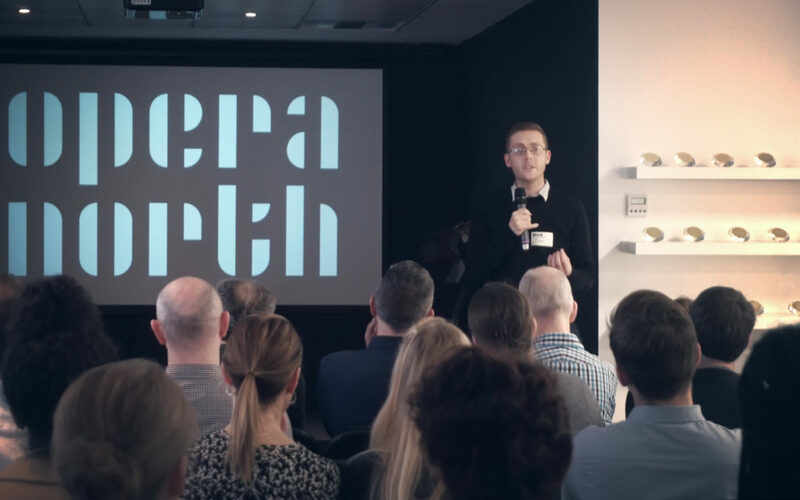 I’ve been invited to speak at a Bettakultcha networking event in partnership with Leeds BID or Nexus – what is it? It’s a lunchtime networking session usually held in a venue in the centre of Leeds where four or five speakers use the Bettakultcha format to explore a theme that is relevant to the audience. The speakers deliver their five-minute talk within a half hour period set in the middle of a ninety minute networking session. What is the Bettakultcha format? The three rules of a Bettakultcha talk are: 20 slides, 15 seconds duration and no sales pitches. They vary for each networking session but they’re deliberately left open to interpretation so speakers can have flexibility in choosing their subject matter and angle of approach. What is the purpose of the talks? Networking events can benefit from having a structure that encourages attendees to talk to new contacts in a relaxed and natural fashion. 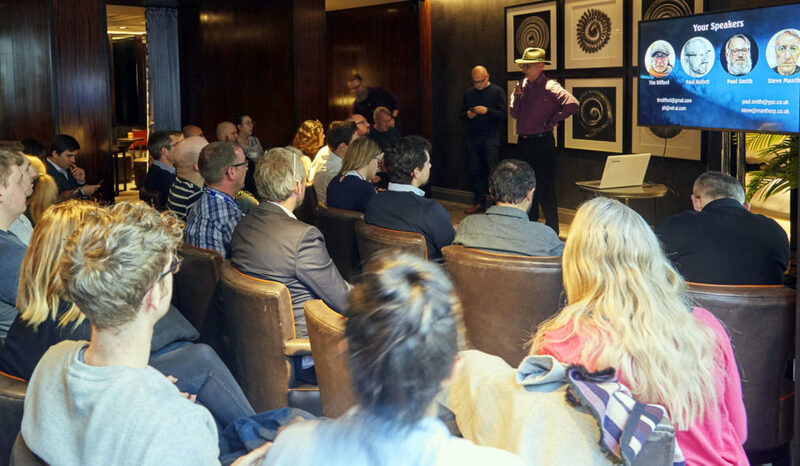 If speakers at the event have raised fascinating insights or ideas, the audience will want to discuss the points amongst themselves afterwards. The talks therefore, should ideally be aimed at encouraging conversation amongst the audience. It’s not about being an expert then? No, the audience members come from varied backgrounds and have different interests so they’re looking for useful ideas or insights. The speakers can be experts in their own field and can draw on their knowledge if they want to but it’s about sharing the most interesting aspects of their knowledge without being too technical. It may be that you’re not an expert in a subject but have strong opinions about one of the themes and want to make a case about it – that’s okay too. So I can be outspoken or challenging in my talk? Absolutely, the audience members want to hear cutting-edge ideas as well as fascinating predictions. For example: one speaker with an art background spoke about the ethics of autonomous weapons – the prospect of such a reality raised many questions that attendees wanted to discuss. Another speaker poked fun at some of the less useful inventions technology has produced – your talk doesn’t have to be serious, audience and speakers want to enjoy themselves too! These networking events are attempting to walk the talk and redefine the perception of what a networking session is. They recognize that people in business are human beings too so the speakers aren’t there to sell their organization or their products; they’re there to promote new ideas and insights. What’s in it for me as a speaker? Sell yourself as an engaging speaker. The events attract large audiences representing a huge range of professions and skills. An engaging speaker who entertains and informs the audience will make a deep and lasting impression on them. Okay, I’m interested in speaking, what’s next? 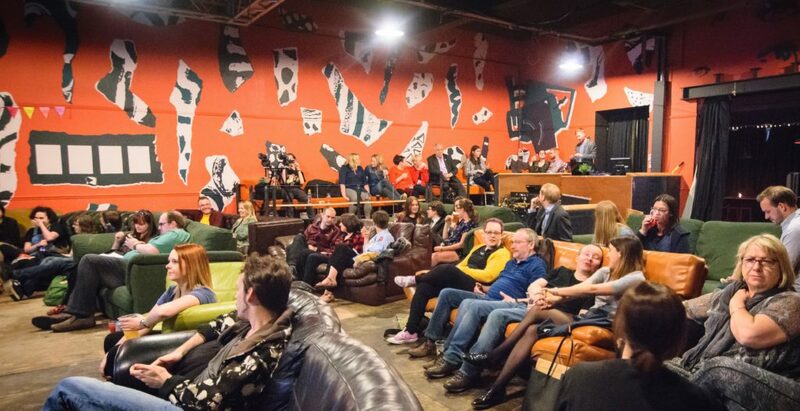 The networking events (and the evening social events) are publicised in the Bettakultcha newsletter so if you want to be guaranteed of keeping abreast of them all then sign up for the newsletter here. If you want to speak at one of the events then email Ivor Tymchak (ivor@tymchak.com) who co-ordinates Bettakultcha’s daytime events. Our next Bettakultcha daytime networking event is on Thursday 2nd May in Leeds in collaboration with Leeds BID. And remember you don’t have to be an “expert”, just passionate about this topic. They’ve been there, done that and got the BK badge. And so can you when you prepare your presentation like a pro. A great tip that’s not only a fav of BK presenters, but also prolific writers like Stephen King, Neil Gaiman, Lee Child, Ray Bradbury and many, many more. When starting a fresh talk many presenters obsess with themes, structure, or research. It’s great to think about those things, but it’s also a great way to procrastinate. Have an idea? Even if it’s really vague, just start writing. 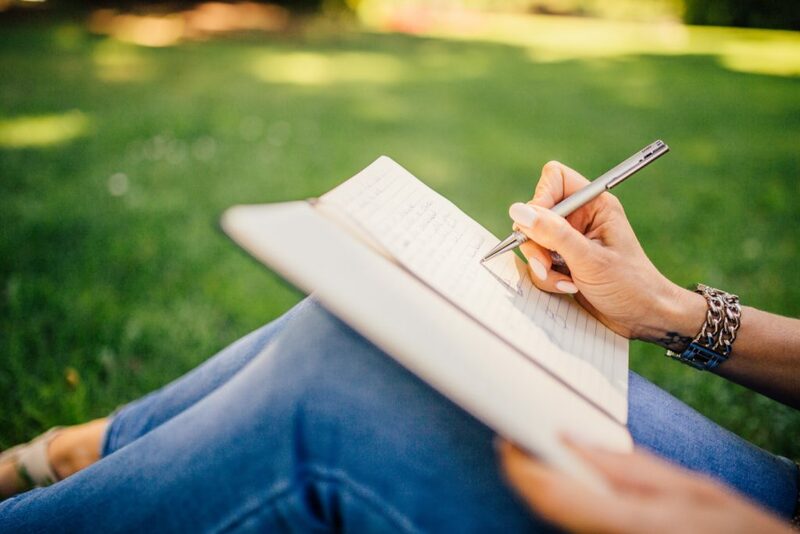 Once you start writing, you’ll be amazed with how much you know and amazed with how many ideas you have. It will help you to see any gaps in your knowledge and get a bigger picture of what you’re talking about. You can edit this all after. But expressing your ideas comes first. Maybe you struggle to write freely. One presenter told us that when they have an idea for a talk they record a conversation with a friend. It helps them to start expressing their ideas and figure out how to explain them on the way. They simply listen back to the conversation and write it all down. BANG. All they have to do is a bit of editing. But it was only possible after expressing their idea. We realise this is a little patronising. Especially if you know Bettakultcha, you’ll know the 5-min-20-slide-15-second format. But it’s always worth repeating. Because sometimes it’s too easy to try and pack in too much into such a short amount of time. Especially if you’re passionate about your subject. Remember that you don’t need to jam every point into your talk. Sometimes it’s like writing an essay when you’re over the word count. Cut out those non-essential points (no matter how much you love them) and keep in the stuff your audience must know. And keep hold of that passion. Because once you’ve caught the public speaking bug, you’ll want to do more. And you can save that extra material for your next talk. Don’t overload those slides. One or two images, a handful of words is enough to get your concept across. One of the reasons why the fast-paced BK format exists is to stop people overloading slides. Remember each slide is only up for 15 seconds. It will help you to split up your ideas, structure your talk and clearly express your ideas to your audience. It will also save you time preparing these slides. The Bettakultcha crowd come to listen to passionate people who are volunteers. The crowd know that you’ve given up your time to do this. And it takes time to prepare too. So, there’s no pressure to learn your script off by heart, even if doing that looks really cool. The crowd don’t mind. You shouldn’t mind. If you can’t remember your script, don’t worry. Plenty of people at Bettakultcha bring notes or flashcards on stage. Some folks like to keep notes on stage for reassurance – but don’t even use them. Some folks don’t even learn their script or bring notes. They’re so passionate about their idea they can talk about it easily for 5 minutes. That’s the easiest thing to do. Let your passion guide you. The hardest thing to do is learn every-single-individual-word of your script. It’s time consuming. You’re here to share your passions but you don’t have to be an actor to do it. Bettakultcha events – both evening spectaculars and lunchtime networking events (with LeedsBID) – will have a theme. Often folks like to link to the theme. Many find it an inspiring starting point. But while our lunchtime events often have speakers presenting on a topic, our evening events are free and easy. That’s why we call them ‘unofficial’ themes. So if you have an idea and it doesn’t ‘link’ with the theme, go ahead. We want to hear it anyway. Finally, here’s a couple technical things that will make preparing for your Bettakultcha presentation a breeze. Get the screen ratios right from the start. We mostly use 4/3 screens when presenting our nights. You should be able to change the settings to in display options. It’s a bit like choosing a canvas size. Don’t worry about the 15 second transitions. We do all of that. Saves you a few panicked moments. What are you waiting for? The people of Bettakultcha are excited to hear about your passions and interests. 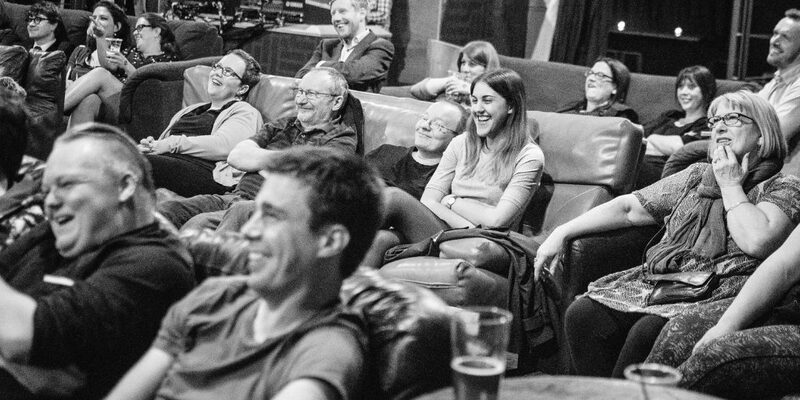 Bettakultcha is a semi-regular event with a cult following in Yorkshire. Our events are a kooky cocktail of conference, comedy club, spoken word and storytelling show. Yeah, you’re right. It does sound like it shouldn’t work. But somehow we’ve been wowing audiences for almost 10 years, even though it’s still hard to explain what Bettakultcha is. One of the key things is that anyone can present. That’s important. But there’s more to it than that. So, in true BK style we’ve worked up a quick guide. If we told you Bettakultcha was a night of powerpoint presentations you would definitely cackle, throw maggot-ridden tomatoes and Snapchat our well-deserved humiliation. Instead, let’s say that Bettakultcha is a little like TED talks… except they are quicker, quirkier and a little less wanky. Now, we love TED talks. We’re not dissing them. There’s some great stuff, but anyone can admit there’s a lot of guff too. How many ‘gurus’ have we seen pretentiously prattle on with the promise to perfect our lives with ‘one weird trick’? The answer won’t surprise you. 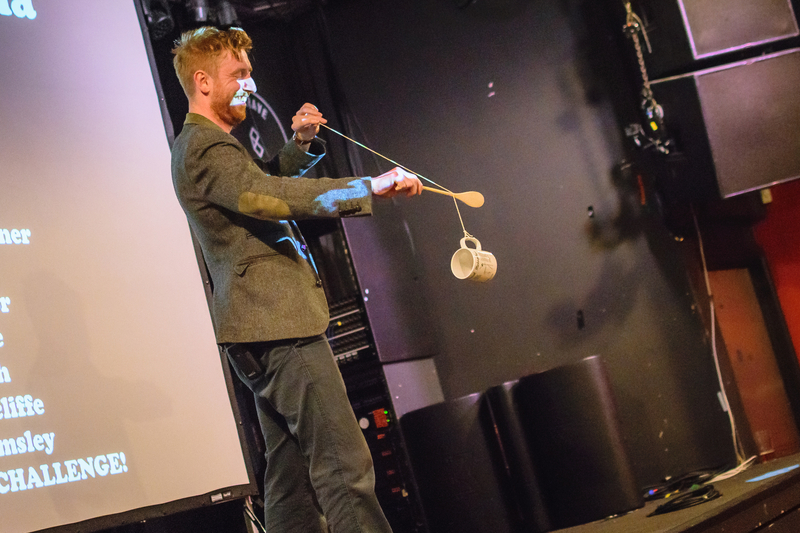 At Bettakultcha our presenters are mostly down to earth folk (even if their heads are in the clouds sometimes!). They come along to talk about anything that they’re passionate about. And like a Ted talk you get that powerful combo of entertainment and education, but with a grassroots feel. It’s just a coinkydink that there’s powerpoint involved – which does not sponsor Bettakultcha by the way. Other slide presentation programmes are available. Here’s one reason to like Bettakultcha: NO SALES PITCHES. Since we began we’ve had this strict rule to stop folks flogging their wares or using the audience to fund their get rich quick schemes. So feel free to chill. The only thing people are selling are ideas, thoughts and feelings on a topic their care about. No matter how weird that topic is. Although every event has a theme, it doesn’t mean presenters have to link to it. It’s an option. Some find it a helpful starting point, others already know what they want to talk about when they sign up. It just means we get a nice, broad range of topics and presenters. Our events exist to celebrate unique ideas and niche perspectives. At our October 2018 event we had talks on historical climate change, mathematical aesthetics and an Irish folk song about smelly P.E. kits. 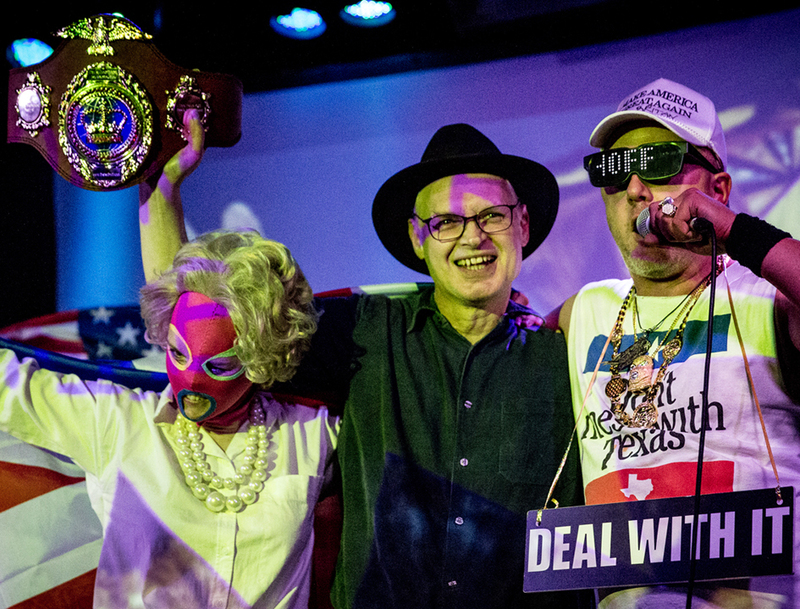 That’s just one example of how Bettakultcha is a smorgasbord of culture wrapped up into one evening. Bettakultcha’s quick-fire format (more details below) is the perfect platform for punchy jokes, visual gags and witty tales. Sometimes we get talks that are like Dave Gorman’s stand up shows. …and sometimes talks are very personal. 5. There’s a very specific format, which works like a treat! These creative possibilities are all possible thanks to Bettakultcha’s specific format. And as you can see it offers enough restrictions to give people a way to present that’s regularly visual, memorable and fast-paced. Every Bettakultcha night ends in chaos. But the kind we love. After the prepared presentations we offer anyone in the audience (not just speakers) the chance to take on the RANDOM SLIDE CHALLENGE! No one sees the slides before and everyone tries their best to do a presentation on the spot. There’s spectacles, there’s disasters but they’re always incredible. And thankfully – for the challengers – they’re only 10 slides long! …anyone can go up and present. It doesn’t matter if you’re a master public speaker or a first timer, if you present at Bettakultcha you’ll have an audience who is there to support you. 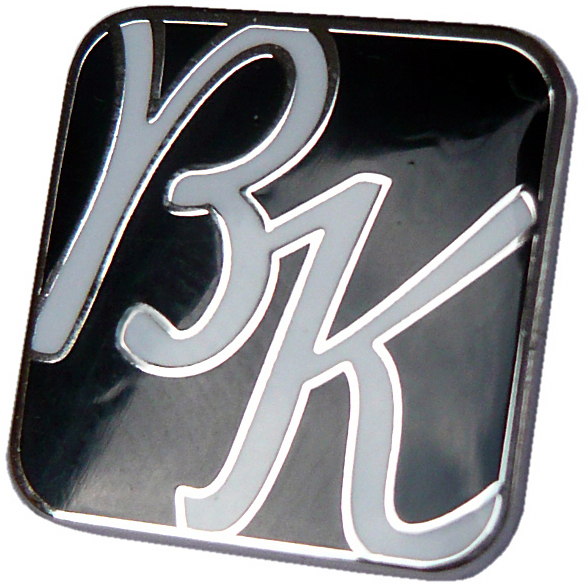 And everyone who presents gets a Bettakultcha badge. Which is nice. Keep a look out for when we’re looking out for speakers for our next event. We put call outs on Facebook, Twitter and our newsletter. And we hope you can make it along to our next night. See you then! The crowd in the hall was at least 200 strong, mainly young people in their twenties. A super-hero costumed DJ on the stage was providing the deafening rock music as we waited for the event to begin. Finally, the theme music from Rocky announced the entrance of the MC and his entourage. The scene was straight out of Madison Square Gardens for a heavyweight bout of some kind – security guards in dark suits flanked the MC who was wearing dark glasses that doubled as a matrix sign scrolling various ‘Tech Off’ messages. This was nothing like any tech event I’d ever attended. Earlier that day I’d been contacted by Royd Brayshay, a friend of mine who texted me a link directing me to some event details. He asked if I wanted to go as he was intending to be there. The promotional copy suggested it was a wrestling contest interspersed with tech talks. It all sounded bizarre but I thought if it has talks in it, I’d go. Once at the event I discovered there was no actual wrestling, just the hype surrounding wrestling – capes, costumes, prize-fighting belts and over-the-top MCs. Judging by the effort put into the show the sponsors had clearly allocated a ton of money for it. The outlandish MC (@BeyonceOfTech) and his crew cruised past me and sailed onto the stage. Once he had the microphone the MC harangued the crowd for their lifeless response to his appearance and baited them into becoming a vocal mob. After ten minutes of vocal pistol-whipping the crowd bayed at the required ear-splitting volume. It was then announced that one of the Creative speakers hadn’t turned up (I guess creativity is unpredictable) so there was a Wild Card opportunity for someone who was stupid/brave/drunk enough to take on the challenge. My sober ears pricked up. The explained format was this: there would be four separate bouts where a Creative would battle a Techie to determine who was most relevant in the world. Each contestant would give a five minute illustrated talk to trade blows. After the four ‘fights’ the winners of the bouts would gather on stage and the roar of the crowd would decide the overall champion who could then rightfully claim the prize-fighting belt on offer. The hysterical crowd cheered the strutting MC and the atmosphere was redolent of well, … a prize-fight. I volunteered to be the Wild Card. In all my presentation skills workshops I encourage the attendees to take up every opportunity to speak in order to improve their skills – it’s the only way to improve, so if I can’t walk the talk I’ve no business running a speakers workshop. With so many attendants on stage the speakers had trouble knowing who to approach for the clicker that controlled the slides and with the frequent ‘mic drops’ during the talks it all seemed a bit chaotic. After each bout the MC asked the crowd to voice their approval or disapproval of the speakers. A pretend clapometer measured the decibel rating and the winner received a little trophy. As I watched these early rounds I had about half an hour to figure out what I was going to say in my slot. I didn’t have any slides to worry about so I could concentrate fully on my narrative. At first I considered just having some fun with the audience and playfully going over some presentation hints and tips but I eventually decided to tell the story of Semmelweis who discovered that hand washing in hospitals saved lives. I’d given this talk before at a Bettakultcha event so I figured it should work well within the time constraint but it also has a serious message to it that fitted the remit of the event. The energy in the room was the highest I’d ever experienced at a speaking event so I was going to have to adapt my usual style of delivery to fit the mood in the audience, I was going to have to make my stage persona a lot bigger. Rule number one for speakers is: it’s never about you, it’s always about the audience. I have to confess, as experienced as I am, when the time came to ascend the stage I was feeling nervous; this was an unfamiliar sector for me and I had no preparation – but hey, I was a seasoned compere so I could improvise! Another rule for speakers is to use your nervous energy in a positive way. As soon as I hit the stage I set up a ‘call and response’ format to assess if the audience were willing to follow the story. This got them immediately engaged and I was able to monitor their attention as the story developed. The talk was going well and I intended to follow the structure of the original talk I had given at Bettakultcha but as I was nearing the conclusion I suddenly thought of a ‘let’s not fight but collaborate’ ending to the talk that was more appropriate for the occasion. This was improvised but judging from the cheer coming from the audience it hit just the right note. The climax of the event was where the four finalists stand on the stage for the ultimate clap-off. As I stood at the front of the stage I kept to the promoted theme and played to the crowd with ridiculous ‘body-building’ exhibition poses that indicated I wasn’t taking myself too seriously. The whole package must have worked because I was declared the overall winner of the contest and was awarded the champions belt. It was a surreal but hugely satisfying moment. Be spontaneous and take every opportunity to speak (but don’t traumatize yourself). Adapt to the needs of the audience and the context of the moment. A close friend of mine is a teaching assistant in a well-respected school. She works mostly with disadvantaged children who have special needs and she is a wizard at motivating them. 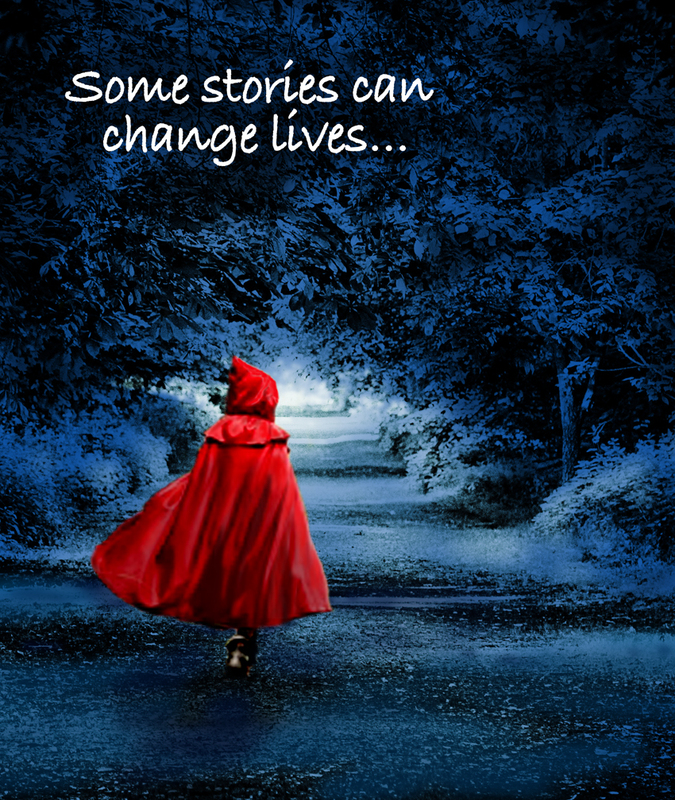 She told me this tale recently of an incident she was involved with at school and I asked her if I could retell it here because it demonstrates how stories have incredible power and can produce astonishing results (she agreed of course, otherwise I wouldn’t be retelling it). Her main charge at school is a boy called Daniel (not his real name) and he had always struggled with the basics. Simple arithmetic was proving to be a real stumbling block for him. Several teachers had tried to teach him the principle of adding up a column of figures and carrying over the tens into an adjoining column if the added up numbers exceeded nine. No matter how many times they went over the principle, Daniel just couldn’t get his head round the idea – it was too abstract for him. Then my friend (let’s call her Jane) was given the task of helping him. Now, my friend is a genius at intuitively understanding children and their interests so she approached this issue in a novel way. “Look, Daniel” she said “at the bottom of this column of figures is a room. This room can only hold nine people at the most so when all the numbers in this column are added together and they total less than ten, then that number of people can still all fit into the same room together so they can continue to party. “But if the total adds up to more than nine then that extra ‘one’ it creates can’t fit into the party room and so it has to leave the room and be all on its lonesome with nowhere to go. In order to help the lonely boy, how about we create a new room especially to house him? Let’s call the new room the ‘ten room’ and we build it next door to the other room. In here, the tens can go straight from the singles room and meet up with their own friends to play with. Jane left Daniel to tackle the remaining sums by himself. When she returned and checked his sheet, Daniel had completed all the problems and managed to work out the correct answers without any further help from her. She knew then that he had intuitively grasped the principle and in future he could apply it where necessary. This is the power of storytelling; a disadvantaged child has been able to make sense of the world because a facilitator had gone to the trouble of explaining a phenomenon using analogy and narrative. Imagine the rush of insight Daniel must have experienced, as the secrets of the principle of addition were revealed to him for the first time. Then imagine his realisation that this knowledge has empowered him – he can solve problems for himself! It’s no exaggeration to say that Jane may have changed Daniel’s life forever. By investing a bit of imagination into the explanation she gave him, she made Daniel realise that there are many different approaches to understanding a problem. Is it any wonder that Jane is adored by the children in the school? In any talk you give, be the creative facilitator – helping the audience understand the world better and empowering them to do things for themselves. Make stories your friend and that task will become a lot easier.